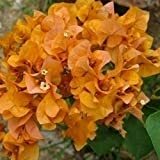 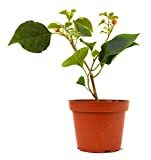 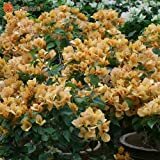 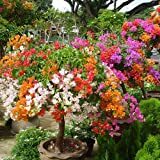 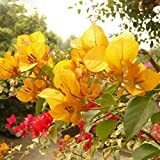 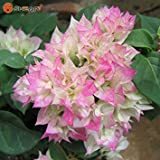 Solution Seeds Farm Rare Heirloom Yellow Bougainvillea Spectabilis Willd Bonsai Seeds,100 Seeds. 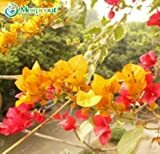 Yellow bougainvillea for sale Easy plant to grow, grown for the ornamental flowers and as hedge plant, planting in early spring to autumn, better to buy plant or grafted plant (in order to know the color of the flowers or the leaves) or another option to start from seeds. 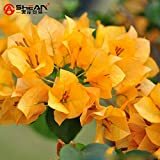 Blooming in the spring to autumn rarely in the winter, in star shaped flowers, but the bracts are the show part that appear in yellow color.